The Curriculum is the focal point for the study of educational practice. It is the area in which individual, group and societal needs and interests meet and is consequently the source of much friction and contention. 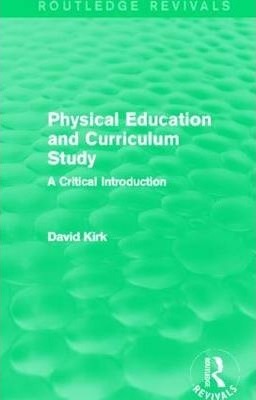 This book, first published in 1988, introduces students to some of the major points of debate; in particular, the role of curriculum-based study in the development of physical education and the credibility of the subject as an educational activity. David Kirk emphasises the beneficial effects of physical education and suggests ways in which instructive programmes can be created. A practical and interesting title, this reissue will be of particular value to students and teachers of sport science, and educational practitioners more generally.